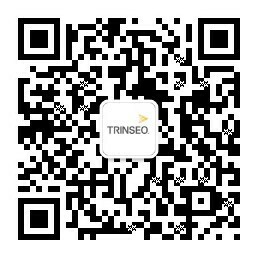 Trinseo (NYSE: TSE), a global materials company and manufacturer of plastics, latex and rubber, responds to the growing needs for more durable utility smart meters that effectively monitor energy consumption and stand up to the task. Electricity and gas resource suppliers are turning to advanced polycarbonate resins in Utility Smart Meters, which provide a digital interface between the power facility and the site of consumption. These Utility Smart Meters are composed of multiple parts, all with specific and strict property requirements. Through its diligent development efforts and close collaboration with customers, Trinseo has developed solutions to meet the exacting material regulations of Utility Smart Meters manufacturers with its polycarbonate-based solutions. Smart Gas Meter Index Housing: performance materials with electrostatic dissipation. These properties provide additional safety and security to the operation of the Smart Meter, as well as enhance its overall aesthetic appeal. With proven performance through extensive testing and exclusive development partnerships with key European suppliers, EMERGE™ PC Advanced Resins have become the preferred material of choice for smart meter applications helping to produce safer, more effective and longer-lasting devices. “Through our development of high-performance and dependable materials for Utility Smart Meter components, Trinseo is supporting the safer, more efficient and accurate reading of energy consumption,” explains Giorgio Bettoli, Trinseo business manager Consumer Essential Markets (CEMs) Europe and manager of the company’s Smart Meter business. “Our investments and efforts in this area reflect not only our commitment to this market but also to the smarter management of our natural resources and fossil fuels." Trinseo’s answer to industry demand is timely: Smart Meters are replacing traditional utility meters at a staggering pace, driven by increasing worldwide government regulations that require conversion to this technology. According to Navigant Research, even with the U.S. slowdown, smart meter vendors report increasing business in Western Europe that will account for 93 million new meters by the end of 2020; not including additional and significant installations in Asia Pacific. Trinseo EMERGE™ PC Advanced Resin portfolio consists of a glass-reinforced ignition-resistant polycarbonate designed for both the terminal block, the case & internal parts and exceeding the IEC IEC62052-11 requirements.